Randolph College is a nationally recognized, private, liberal arts and sciences institution with a career focus located in Lynchburg, Virginia. Founded in 1891 as Randolph-Macon Woman’s College, Randolph is known for its excellent academic program, diverse close-knit community, exceptional faculty, rich traditions, and growing NCAA Division III athletics program. Randolph was included in the prestigious Fiske Guide to Colleges 2018 and appeared on several other lists as well: “Best Colleges for the Money” (#6 out of 36 in Virginia, CollegeFactual.com), “Cool Schools” (Sierra Club), the “50 Small Colleges with the Best Professors” (College Values Online), the 30 best liberal arts colleges in the South (BestValuesSchools.com), and Money magazine’s list of best colleges. Learn more about how Randolph ranks here. The College’s rich academic program offers students a choice from 29 majors and 43 minors. The College also offers popular pre-professional programs in engineering, nursing, law, medicine, and veterinary studies. The teacher licensure program is enhanced by two graduate degree programs in education. An M.F.A. 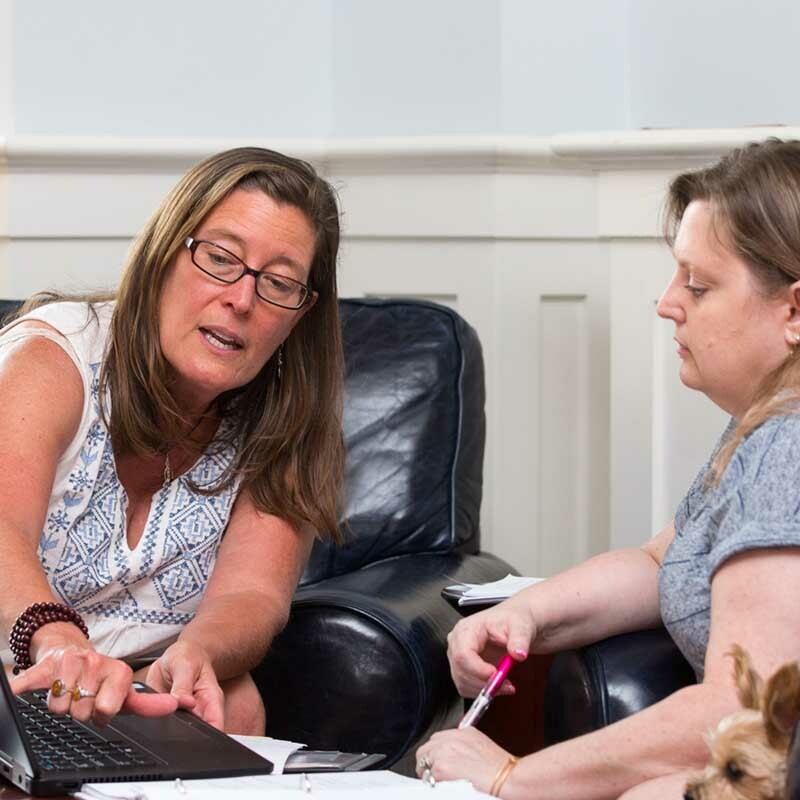 in Creative Writing, the only low-residency program of its kind in Virginia, welcomed its first class in summer 2018. 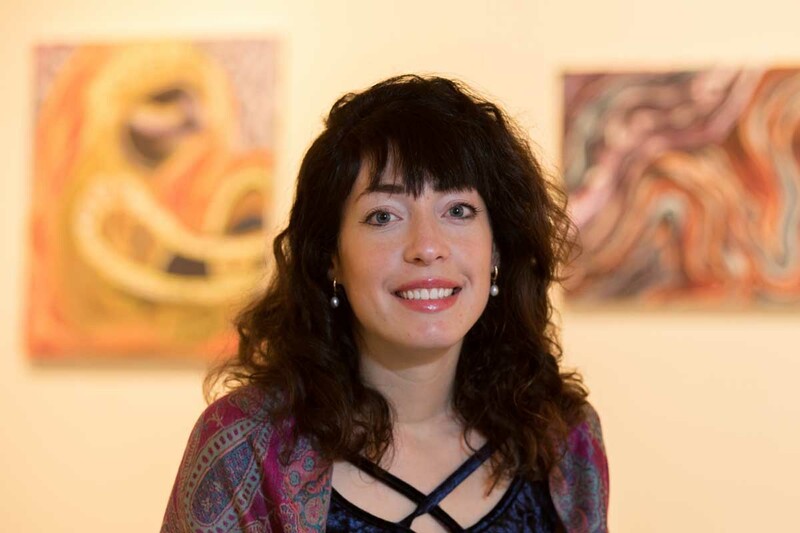 Randolph’s Center for Student Research facilitates opportunities for students to participate in original and innovative research and scholarship. The Center for Ancient Drama provides a unique student experience associated with the production of the Greek Play. In addition, Randolph’s competitive and funded Summer Research Program allows students to spend eight intensive weeks collaborating with faculty members. The program includes all disciplines across campus and offers students opportunities to present findings at professional conferences and/or to publish results in professional journals. In addition to an established and well-respected student-run Honor System that permeates all aspects of campus life, Randolph College is home to 18 academic honor societies, including one of the oldest chapters of Phi Beta Kappa in the nation and only the fifth charter granted in the state of Virginia. With more than 40 student clubs and organizations, Randolph College offers ample opportunity for involvement and leadership. Student leadership is in integral part of campus life, and students are offered opportunities for leadership positions as early as their first year. The competitive Davenport Leadership Program provides students with an opportunity to learn and build attributes that have long been associated with leaders: self-awareness, communication, critical thinking, self-confidence, initiative, motivation, conflict management, goal setting, teamwork, and problem solving. 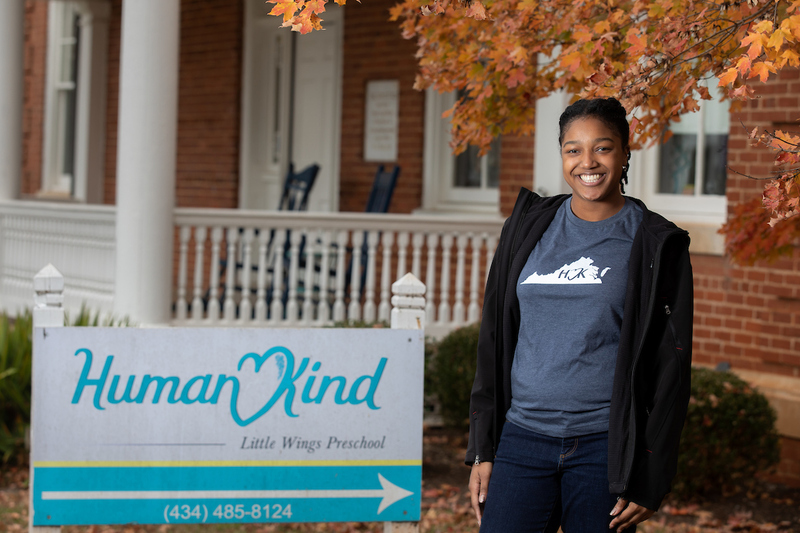 The program helps students to understand the connections between their academic work, social and co-curricular choices, and their participation in community service. Whether it is serving as a student-docent at the Maier Museum of Art at Randolph College, performing in the many theatre, dance or music programs, serving in Student Government, working in the College’s student-run Organic Garden or for the student radio station, or taking part in one of the many other clubs on campus, students are able to pursue their passions outside of the classroom. The College also offers 18 NCAA Division III athletic teams in addition to riding. The College’s athletic facilities include a field and track facility and a 100-acre equestrian center. Randolph’s graduates enter the workforce or graduate school prepared to succeed. Alumnae and alumni have forged successful careers in a variety of fields including law, medicine, journalism, education, engineering, and science, and the College ranks in the top 15 percent of all colleges and universities nationwide for the percentage of graduates who go on to earn PhDs. Randolph’s graduates are accepted into top graduate and professional programs. Examples include Stanford, Cornell, Yale, Johns Hopkins, Vanderbilt, Notre Dame, Oxford University (UK), Medical University of South Carolina, and law programs at Boston University and George Washington University. 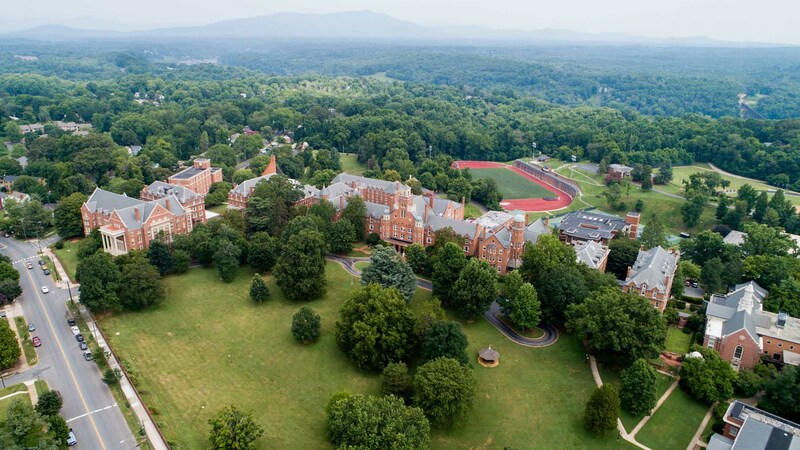 Located in the heart of Virginia, Randolph’s picturesque 100-acre campus in an historic, residential area of Lynchburg features the best of traditional brick buildings and pathways and exciting facilities such as WildCat Stadium and the newly renovated Student Center. One of the more unique aspects of campus is the Mabel K. Whiteside Greek Theatre. Situated in “The Dell,” the Greek theatre was built to offer classics students the opportunity to produce ancient drama in a realistic setting modeled after the theatres of ancient Greece. In addition to these productions, The Dell is the setting for numerous events throughout the year including Commencement. Randolph also offers a 100-acre riding center just a few minutes from campus. The riding center features two outdoor rings, a jumping amphitheatre, a schooling ring, The Claire Noyes Cox indoor arena, and a modern 40-stall barn that is home to more than 30 quality, school-owned horses. 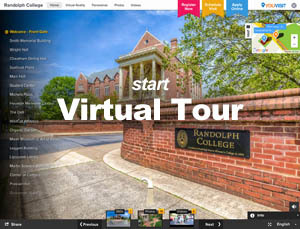 Take a virtual tour of Randolph here. Randolph’s location in the growing city of Lynchburg provides close access to shopping, entertainment, and recreational and cultural opportunities. The College is within easy driving distance of major cities including Washington, D.C., Richmond, and Virginia Beach and easy access is available to public transportation, including an Amtrak station and a regional airport.